When there’s nothing to do, crafting is the way to go! Here are 8 fun things I found on the internet that you could easily craft at home! Links are placed below the image for a step by step tutorial by those people who made it. These DIY ideas aren’t mine, so credits to those people who owns it. Let’s start with a simple stamped doormat. How cute would this be sitting at your front door? Just go grab a plain doormat at your local store, some paint, and sponge (it’s your choice) and start painting whatever design you like (or just dab the sponge into the paint and then dab it on the mat). Then wait for it to dry and tadaa! You have your own DIY doormat! This DIY is fun and best for those who wants to have a smashbook. But not only is this a smashbook, but it’s an inspirational smashbook! So everytime you feel down and need an inspiration, just go grab your DIY Smashbook and inspire yourself! Just how awesome is it to transfer pictures into a wood? Is it expensive? Nope! It just takes a person to know the trick and you will have your own photo printed onto a wood in a cheap and fun way! This knotted mason jar lantern can be great for patios or gardens. It spices up the mood into a room. This is a perfect prop to make the mood romantic for dates. So those people who plan on having a date at home, I highly recommend this to set up the mood! Don’t be afraid to paint up your ukelele. Make your own unique by painting the instrument with your desired design! This is one of my favorite DIYs! It so simple but elegant to look at. This is totally a must-try DIY for you guys. Go and try designing your room with this flower frame and I swear, you would admire this frame every time you see this. Have you got those old shirts you don’t use anymore but still wanted to keep? 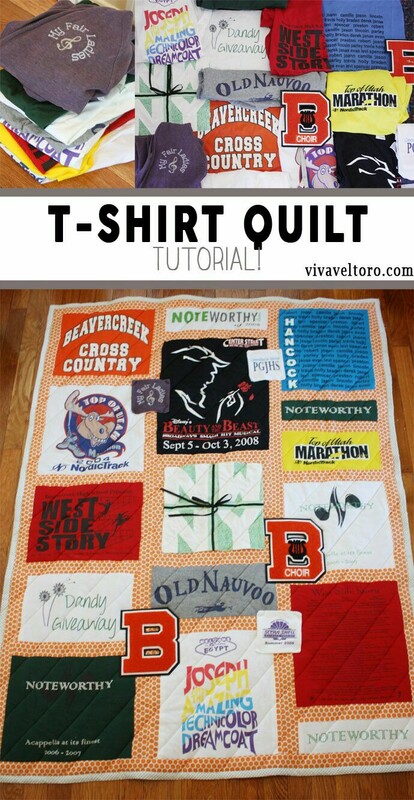 Stop making your closet full with shirts you don’t need and start making this T-shirt Quilt! Simple yet beautiful! That what this is. 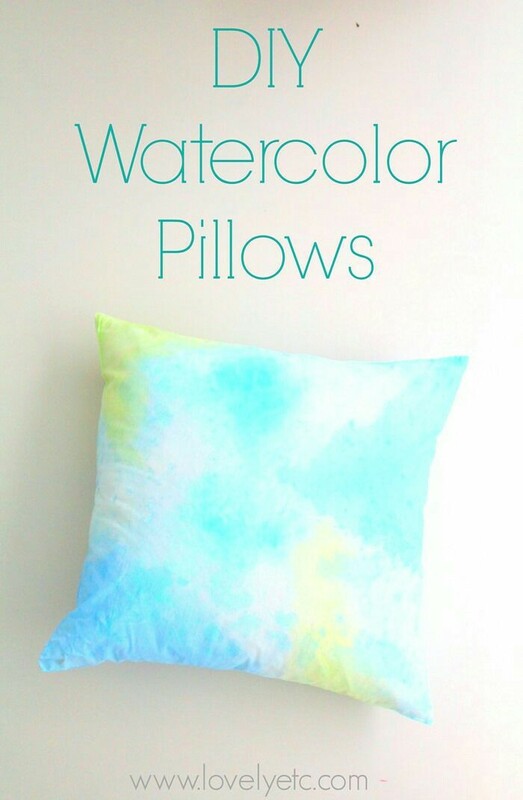 Go grab a plain white pillowcase and start making a radiant watercolor effect. Just click on the link above and you’ll see how easy and fun it is to do!